Easton Helsinki, a 66,000m2 shopping centre by Lahdelma & Mahlamäki is the first phase in a larger urban plan and looks to celebrate the identity and culture of Helsinki’s eastern districts. In its architectural and commercial concepts the project idealistically and physically centres itself around food, bringing together local vendors and businesses at the heart of the shopping centre. However, the project also holds a rich production history – it has been as much about process as it has about the final result. Centralised BIM models have formed the core of the workflow and design process since day one, a request of the client Kesko. Whilst shopping centres are inherently complex projects, workflow on all levels, from the design desks of individual end-users to contractors on-site, was managed through a centralised model; whether it be involving the façade system or the environmental conditions of individual shops. 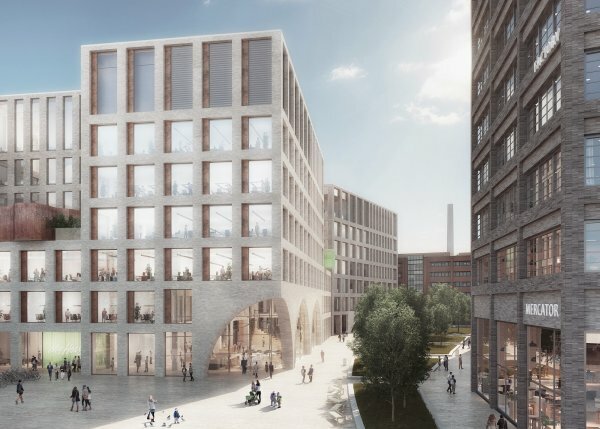 Easton offers 30,000 m2 of rentable commercial floor space which is set to bring 40 businesses into the area, with the emphasis being put on healthy foods and creating an everyday social atmosphere around this. The size and complexity of these programmes and involved parties brought a challenging timetable to all levels of construction and design. To manage this, template-based workflows were used which enabled quick design cycles and the efficient transfer of output data. This arrangement of working meant that many processes could happen simultaneously which massively boosted the efficiency of the project. Whilst construction work was ongoing, Kesko could use the comprehensive BIM model as a way of negotiation and planning future retail spaces with prospective tenants who were able to accurately present future operating environments. One of its primary uses was indeed as a decision tool for current and future stakeholders, clients and partners. Kesko themselves use BIM to model their shops, which can be added into the central design and construction model of the shopping centre. The creation and management of the model was in itself an impressive feat. The model was under the central control of Haahtela-rakennuttaminen Oy, but each separate contractor would be required to update it as changes were made. The model was used to coordinate the building services, structures and architecture during the design process. Then, during construction, various sub-contractors were able to inspect the model and make decisions based on it, before installations actually began. The thoroughness of the model allowed them to engage with the design in more progressive ways. For example, the HVAC designers were able to inspect the pipe and duct installations up close, before their construction, in virtual reality. If alterations were made on site, then the BIM model would also be updated to reflect this. As a result, the end model is a direct representation of the building on site and is technically correct. The client set this as a key requirement in order for the model to be used in the future for maintenance and development purposes. At first glance the most striking feature and most clearly a result of computer modelling, is the gently undulating façade which evolves the local red-brick aesthetic into an array of 100,000 ceramic and aluminium rods backed by a steel structure. Geometry specialists Geometria modelled and were able to accurately map each façade element, its angle, length and colour, across the huge undulating façade, initially using algorithms based on Rhinoceros and Grasshopper but which then fed into the centralised model. The data from the structural models entered a back-and-forward process between the design studio and the model shop – always being fed back into the central model – eventually becoming realised as pre-assembled units ready to go on site. The adoption and integration of technologies was widely appreciated amongst all contractors. Output data from changes to design elements was virtually real-time as structural and elemental designers worked in the same model environment with Tekla Model Sharing. Frame options were compared with Tekla Structures and Vico Schedule Planner, and the designers of each component were able to pull information such as element weights and locations obtained from the model. The direct result of this was that the façade frame, the structure was optimised for the most effective timetable and best costs, and allowed for the safe installation of the frame. Changes could also be made without the interruption of the rest of the project. The opinion of all partners, upon completion of the project, was that the transparency and integration of the design process was hugely successful and allowed everyone to approach all challenges and respond to them in a noticeably clearer and more organised manner than a more traditional construction environment. The obvious testament to this is that the complex project was completed according to the agree timetable – which is vital for a commercial project of this size – not only this but, the project was awarded the Tekla BIM Award 2017. 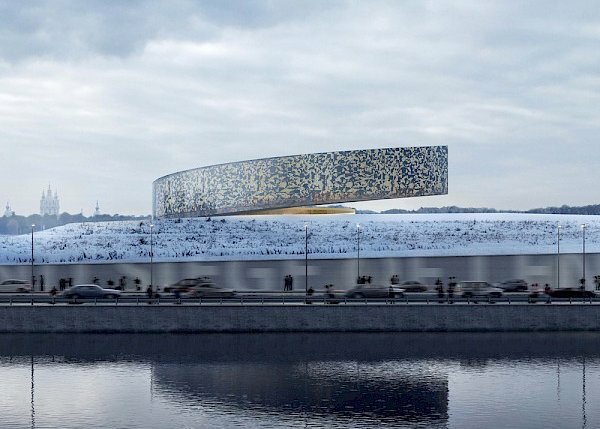 Easton is not a one-off for Lahdelma & Mahlamäki Architects, the integration of BIM and technology has been a core component of the design and construction process for a long time, and as such the technologies have become well established within the office. The office even won the Tekla BIM Award 2012 for their work on the Derby Business Park, Espoo, putting them at the head of their field. Many of these technologies now come ‘as-standard’ for all projects, which allows the architects to explore other ways of design and representation in emerging technologies; already designers, clients and partners can experience their designs in Virtual Reality.